We make stuff you buy. 'Morning DRLFF, this is my second released mod counting, and a submission into the current mod contest. Credits go to Shook for letting me base stuff off his Mortar in the Pelian Army, Gotcha, for the sounds he let me use from his wonderful Unitec, Weegee, for helps, the creator of the Jericho Missile for his shockwave effects, GameBanana, and the creators of Battlefield: Bad Company for some sounds. Anyway, down to business. This mod has now evolved from just the LGED. based on my first (unreleased) mod ever, General Industries provides actors, weapons, and explosives to the consumer. lots more stuff will be added later. Professional mercenary, hired at your cost. Comes with an HK416 and Glock 17C. First man in, armed with an FP6 breaching shotgun and G17C. Name says it all, equipped with a Milkor MGL and duel G18Cs. Trained to uh.. look further forward than other soldiers, these scout snipers will harass targets at range with their SVU sniper rifles. Heavy Reconnaissance light anti-armour Marine, armed with a P90 and M95 long range sniper rifle. Walking tank. Comes with an RPK-74 and M79 'Thumper'. Included in the mod are a few guns, too. The actors will usually have a pretty satisfying loadout, but you can purchase the following weapons for other actors. Has a few other things but I'm hungry atm. This is the Laser-Guided Explosives Designator device, found under guns. It does as it's name suggests. (Dafred not included) It's quite expensive, as a result of me trying to balance it. Now the LGED has three modes, all of which are laggy and slightly glitchy. You can switch these by using the Pie Menu, and then reloading. Mode number the first: Bunker Buster. This'll drop a large bomb through one layer of terrain. The three stage device will penetrate approximately three floors worth of terrain, before detonating only when it hit's empty space underground. Mode number the second: Fuel-Air Explosive. I think we all know how these work. At 300 pixels above ground level, they discharge a cloud of flammable gas. This gas is then ignited, with disastrous effects to any nearby actors. Mode number the third, and last; Sensor Fused Weapon. Deploys a large number of explosive anti armour penetrators through a four stage process. These explode above the ground, firing molten metal into the earth below. In addition to the LGED, a thermobaric rocket launcher is also included. Fires thermobaric rockets with a weakened effect similar to that of the FAE. There are faction Lua files for General Industries in the /Factions folder, for use with Block Wars, Cortex Shock and Tartarus. Please note that all of these weapons - especially the FAE - induce quite a bit of lag. I'm open to suggestions, and as always, please feel free to leave a comment. File comment: New version with actors and guns. File comment: Release 3. Updated LTI-4 visuals, and all munitions are created +999 pixels above the top of the map. File comment: Release 2. LTI-4 and new sprites. File comment: Release 1. Unzip into your Cortex Command directory. File comment: Revised V5 with minor change to error in faction file. Last edited by Kettenkrad on Thu Feb 16, 2012 8:17 am, edited 12 times in total. Wow, it's like if you had every kind of artillery in one package. And the bunker buster is the most unique bunker buster I've seen. Anyway, great work (as always). 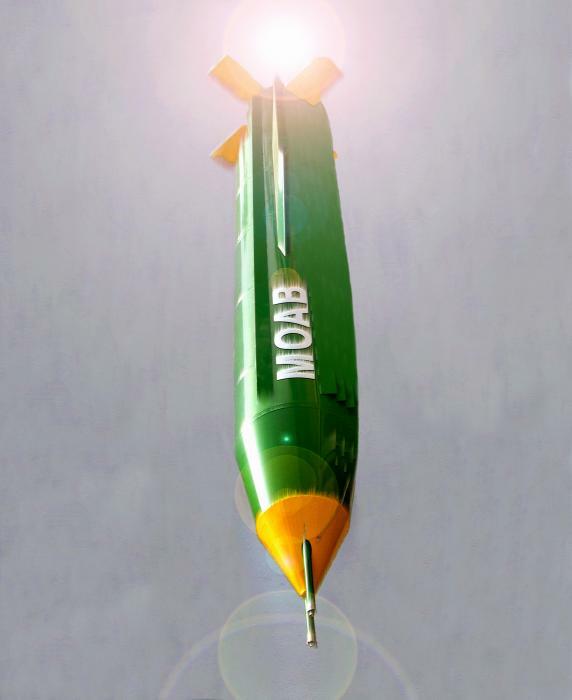 Is it possible to make the bunker buster, act similar to it's current state, but have some sort of limit to it's maximum penetration depth? To keep it from sniping a brain in a very heavily armored bunker with no airspace till the brain chamber? In it's current state it seems the only way to defend against this is to have hallways above the brain chamber, or make air filled "spaced armor" packages laminated above it. Bud, that thing means that it's doing it's job. And perfectly, if you let me add. What kind of madman doesn't have hallways of some kind above their brain chamber/command center anyway? That implies to me that you're either sealing the brain in a tiny box - which is impossible under current placement rules without mods - or you're putting it to the far left/right of the base and having it surrounded only by dirt/etc. Sounds more like someone needs to take some base design courses! Another nice piece of work, Ketten, although the FAE bomb sprite looks a little silly. I think it's the harpoon point and large, water-tank-blue fuel container. Thanks, you're right, I'll put a timer on it and update shortly. Thanks Arcalane, I'll fish around for some reference pics and resprite it tomorrow. They weigh 4,700 pounds (2132 kg) and contain 630 pounds (286 kg) of high explosive. In tests, the GBU-28 has penetrated 100 feet (30.5 meters) of earth or 20 feet (6 meters) of concrete. Thanks Darvus and Arcalane, I've added your suggestions. That looks much better already. This new revised version is superb One more thought, in my previous .ini only experiments with my own designated strike weaponry. I made attempts to make the spawned weapon always come in off screen. I made the projectile gib into my strike offset by y -1300 pixels any more and the weapon would cease to function. I wanted to make this work because on very tall maps the munitions would still spawn visibly. Is it possible through .lua to make the weapon always spawn at the zenith of the map like crafts do? Because in the current state of your mod, or my own .ini attempts these types of weapons could be abused by using them at the bottom of a base to make the warheads spawn inside of a higher level in the base. Or just to avoid them by maneuvering your actor or craft above the deployment altitude. Perhaps someone with more modding skill can make this happen? I play alot of split screen in this game so plugging exploits is important to me, and to make a more polished experience. Doesn't this have to be in rte. not zip.? It's compressed on a .zip, but after extracting the files you get it all in a folder with the extension .rte. It's possible using Lua, though I've no idea how to make it happen. I'll look into it.